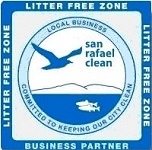 We have taken the Clean Business Pledge and are a proud member of San Rafael Clean, a San Rafael business organization. Businesses can join San Rafael Clean to help beautify and reinvigorate our local business corridors, creating a more inviting and environmentally friendly experience for customers and the community. I pledge to keep my business clean and free from debris, including my landscaping, the sidewalks and public area surrounding my business. I pledge to have adequate trash and recycling bins and pick up for my business functions and my customers. I pledge to know and follow all city codes with regard to my business. I pledge to acknowledge my participation as a Clean Business to my employees, business partners, customers and the general public by displaying brochures, window decals, or other Clean Campaign marketing materials, and in any way I can. 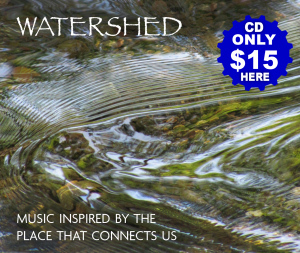 If you are a business in San Rafael, California, please take the San Rafael Clean pledge! Here is our San Rafael Clean Business Partner listing.